Will the EU Become a Criminal Union Tomorrow? 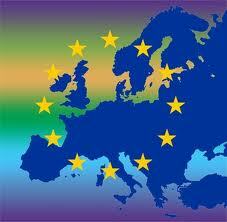 The EUropean Union – a criminal? The EU that has peace as it’s top goal and received Nobel’s Peace Prize? The EU with Schengen and Dublin? The EU with “European” values, humanism and mission civilisatrice that tells others how to live in accordance with international law and in respect for human rights? When Amnesty International expresses itself this way, we should listen very very carefully. I do and I’ve signed Amnesty’s Open Letter to Swedish prime minister Löfvénprotesting that Sweden too may join this inhuman and law-violating agreement with Turkey. Hurry up, it is tomorrow!